OCF: “Orthodox Christian Fellowship” This ministry seeks to keep college kids connected to Christ and the Church during their college years. Youth and Young Adult: Youth Ministry is a relationship-based process by which youth gather in a relaxed, social venue to share the experience of being an Orthodox Christian with their peers and to learn how put their faith into action. Philia: This group provides the women of the parish with opportunities for prayer, spiritual growth, service to our parish & our community. Greeters: Greeters are parish members who share a strong desire to see that visitors are made to feel welcome and comfortable while visiting the church. First Saturday Breakfast: On the first Friday and Saturday of each month a group gathers to prepare and provide meals for the homeless. Youth and Adult Education: We are always learning and growing in our knowledge of God. 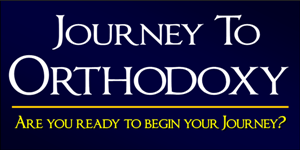 We offer Bible Study, Church School, Inquirers Class, Catechism, and “Orthodoxy-101”. Parish Council: The Parish Council assists the priest in the administration of the affairs and ministries of the parish. Fundraising: A “Fundraising Committee” oversees and coordinates parish fundraisers. Bookstore: The bookstore sells Orthodox items and is a form of outreach. Care Ministry: This ministry looks at ways of caring and supporting individuals and families in times of need and crisis. Prayer Circle: This group gathers regularly to pray for the world.